Hōkūleʻa’s 1976 voyage from Hawaiʻi to Tahiti; the occupation to stop the bombing of Kahoʻolawe that same year; the establishment of the Pūnana Leo Hawaiian Language immersion program in 1983 were all critical turning points in reestablishing the validity of traditional Hawaiian practices, perspectives, and the rights to do so. There have not been events of that magnitude that galvanized the community, reawakened, and reinvigorated the Native Hawaiian cause since then until the events that unfolded on the slopes of Hawaiʻi’s majestic Maunakea during the Fall of 2015 thru the Summer of 2016. 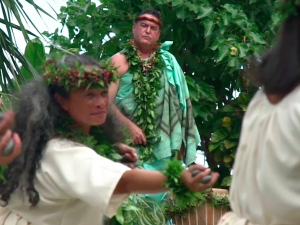 The physical stand to stop the Thirty-Meter-Telescope (TMT) project has reaffirmed a Native Hawaiian voice that will not be silenced, as well as confirmed that we are learning more about ourselves, the perspective and practices that grounds us, the systems we need to work on and through, and how we, as a people and community, need to operate with those around us in order to be the best version of us we can be. 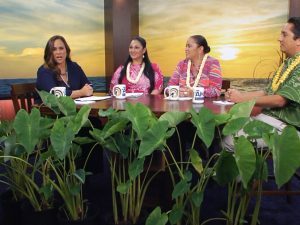 In this episode of ʻĀhaʻi ʻŌlelo Ola, we take a look back at the context, a bit of history, and some of the specifics of the Maunakea issue in order however to set the stage to be able to identify and further discuss some of the valuable takeaways from this significant benchmark in our history as a people. You are disgustingly one sided! Can’t you be fair and even minded? Auē! He aha lā ka hewa? Nui nā ʻaoʻao like ʻole ma lalo o kēia pilikia. Inā hiki ke waiho ʻia ka hūhū ma ka ʻaoʻao, a laila, hiki paha ke maopopo me ka mōakāka ka manaʻo o ia mea ma luna o kaʻu pane.